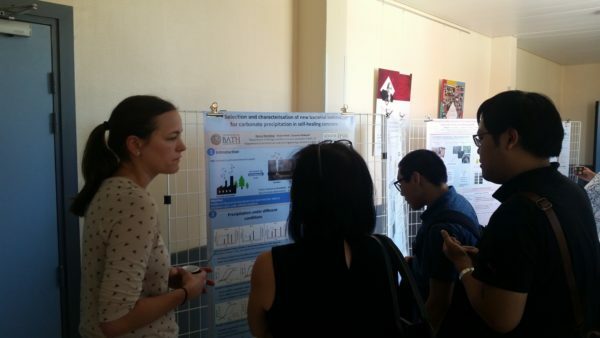 Dr Bianca Reeksting and Dr Kevin Paine from University of Bath attended the international conference on microorganism-cementitious materials interactions in Toulouse in June. They presented our work on full-scale trials of bacteria-based self-healing concrete and our ongoing work to isolate and characterise bacteria more appropriate to the environment in which concrete is exposed. The conference was followed by a meeting of RILEM Technical Committee 253-MCI where our team are working with international partners to produce a state-of-the-art report on microorganism induced self-healing of cementitious materials.